Do Amazing Teachers Teach from a Textbook? Last week started with a colleague/daughter of mine (@jwbrackney) making an observation that all the really amazing teachers that are recognized, because they are making a difference, don’t appear to be teaching out of a textbook. At that point it hit me that my classroom was in a slump and I needed to get out of the textbook more. Recent background: About five years ago our district adopted a CCSS curriculum without resources to support it. The next two years my colleagues and I spent an enormous amount of time searching for good math materials and creating many great lessons (and some we won’t claim). At about the same time we were attending summer training on the Mathematics Vision Project (MVP) from Utah. After a few years of tirelessly trying to gather and create our materials, a few colleagues and I went rogue and used the MVP materials for our Algebra 1 classes. Since we ditched our very old, non-CCSS aligned textbook, it wasn’t that rogue. Last summer we adopted a new textbook. Raised to be a “rule follower”, I decided to give the textbook a good shot. Many, many times during the school year I questioned my recent choice. My students just weren’t developing to be the readers and “thinkers” that I was able to nurture in the past years. Was it me? Could I do something different with the textbook? My current analysis told me I need to get out of the textbook and my comfort zone. With all the resources from the Internet, @MTBos, @TMC, etc. I can do better. There were so many ideas in my career that I thought were great things, but I didn’t know when/how to incorporate them in my classroom. The WHEN is NOW! I work closely with a colleague (@KGruizenga) and once again we jumped in. Between ideas we get from many sources and ideas we develop, we will reclaim our mathematical destiny. THE TIME IS NOW: Friday we started with “Which One Doesn’t Belong” and then did an activity (@KGruizenga idea) where a graph of a parabola was displayed and all students went to the board and listed one thing about the parabola, and put their initials by the statement. As a class we discussed the statements, fixed the statements that were “close” but not correct and looked for the most challenging and unique true statements, and rewarded those students. GREAT day! Over the past 35 years I have taken good activities and made them better multiple times. Sometimes the improvements have been because of past experiences and sometimes the improvements have been because of new tools. This past week, I took a project that I have done with various grade levels and in various degrees of depth. It is a project that includes paper folding and exploring exponential growth and exponential decay. Most of the time it includes a Myth Busters video clip about folding paper a maximum number of times (link below). This activity explores the exponential growth of the thickness of the paper as they fold it and the exponential decay of the area of the top sheet as they fold it. This past week I created a Desmos Activity to complete the whole project and most of my Algebra 1 students completed it in a one hour period and felt lots of success. I didn’t show the video, but I handed them a sheet of paper to do the folding. Good old fashion manipulative married to technology. 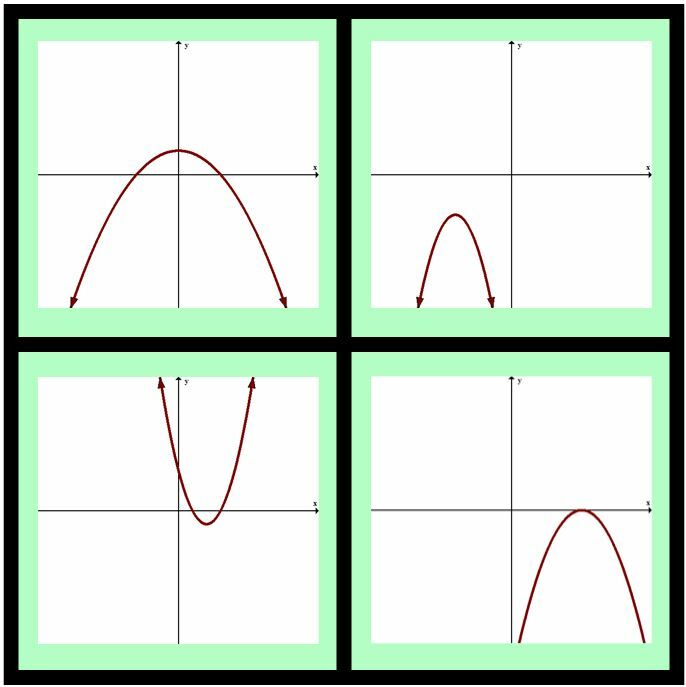 The Desmos Activity link is included below. In the past some students got lost in the hand calculations and tedious graphing, and missed the AAHHH moment (on day 2 with the babysitter project they did graph on graph paper, which they needed to develop). I followed up the next day with a babysitter project modified from a Maryland CCRG Algebra Task Project lesson (link below). I also included a document link with my modifications to make it a one day activity (link below). This was an introduction to exponential functions with no pre-teaching. After two days I felt very confident that my students understood the difference between linear and exponential functions and could identify key features of each in a story, table and a graph. They also clarified slope and y-intercept for lines, and discovered exponential growth factor and exponential decay factor for exponential functions. They could also write an equation for exponential growth and decay. We will need some reinforcement on these next week.